Sister Laura said that last post was so depressing even she didn't want to comment. Well, I got it off my chest. It's still gloomy here, but at least it's stopped raining. I have many many pictures of Vermont-y goodness, but first I must talk about the Phillies. Consider this: the Phillies' Opening Day rotation was Hamels, Eaton, Myers, Moyer and Garcia, with Lieber starting the season in the bullpen. Then Lieber went on the DL, Garcia went on the DL, Eaton went on the DL, Myers went to the bullpen (to replace Tom Gordon, who went on the DL) and then HE went on the DL, and now Hamels is on the DL. 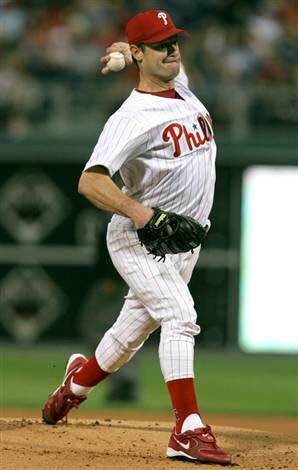 Only poor 44-yr-old Jamie Moyer is left from Opening Day. The Phillies rotation right now is Moyer, Kyle Kendrick, Kyle Lohse, Fabio Castro and J. D. Durbin [who refers to himself as "The Durb", so we do too] And you know what? They're doing okay! Kendrick has been a revelation, Lohse hasn't been awful, and The Durb shows flashes of brilliance. Of the other pitchers brought up to help out or in the bullpen, Gordon went on the DL, Ryan Madson went on the DL, Yoel Hernandez went on the DL, Mike Zagurski went on the DL, Scott Mathieson went on the DL. And then of course, in a string of catastrophic bad luck, Utley, Victorino, and Bourn all got injured within a few days of each other (Victorino and Bourn in the same game). 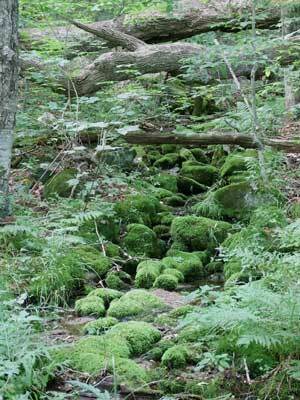 I like the mossy moment. They look like little pillows that gnomes might use. It looks like Bart Simpson left that message!